According to the Orange County Register, the driver will be charged in the heartbreaking death of 8-year old Andrew “A.J.” Brumback in Westminster last January. Anita Sue Cherry of Westminster is scheduled to be arraigned Monday on a charge of misdemeanor vehicular manslaughter without gross negligence, with a maximum sentence of one year in jail. She reportedly was looking down as she went through the intersection and collided with A.J., who was riding to school with his sister. 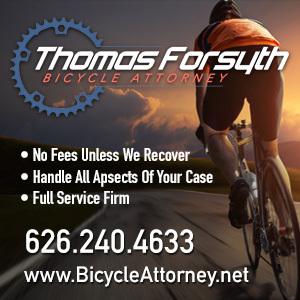 Misdemeanor vehicular manslaughter may be charged when there is “ordinary negligence” or the failure to use reasonable care to prevent reasonably foreseeable harm to one’s self or another, according to DA’s spokesperson Farrah Emami. A person is negligent if he or she does something that a reasonable, careful person would not do (ed: or fails to do something a reasonable person would do) in the same situation. If you missed it before, Louise Larsen writes movingly about the near-silent death that occurred just outside her door. And yes, it is every bit as sad as it sounds. So who is behind the anti-bika lane uproar and the calls for Sadik-Khan’s head? Naparstek points the finger — exactly which one is unclear — at a tabloid press desperate for a story, ambitious political climbers and a governmental class for whom a free city parking placard is the ultimate entitlement. It’s amazing how something so successful and enjoying so much support can be turned into an apparent controversy when the right people are fanning the flames. Meanwhile, another city poll shows that the city’s bike lane program enjoys the support of over half of all New Yorkers, with just 39% opposed. Interestingly, the older the people responding, the less likely they were to support cycling infrastructure; Republicans don’t seem to like it much, either. And Bike Snob looks at the backlash in his own unique way. Then again, sometimes it’s cyclists who are the worst enemies of infrastructure projects. If you hurry, you can still make Rapha’s ride to raise funds for victims of the Japan earthquake; the L.A. ride begins at 8 am today, Saturday the 19th, at Bike Effect, 910 Broadway Suite 100 in Santa Monica. Donate a minimum of $10 and Rapha will match your donation. Note to organizers — a little advance notice would be nice. Ride 13 miles to the peace march in Hollywood on Saturday, March 19th; the ride begins at 11:30 am at Bici Digna, 1850 S. Main Street. Also on the 19th, Long Beach continues their series of workshops for the city’s new Bicycle Master Plan with a bike ride from 10 am to 11:30 am, and a community workshop from 11:30 to 1 pm at Bixby Park, 130 Cherry Avenue. Crash the L.A. Marathon course with Wolfpack Hustle’s car-free race to the coast under the biggest full moon in nearly 20 years; registration starts at 3 am at Tang’s Donut at Sunset and Fountain in Hollywood, and the ride rolls at 4 am. Flying Pigeon’s Get Sum Dim Sum ride takes place on the third Sunday of each month; the next ride will take place at 10 am on Sunday, March 20, starting at 3714 N. Figueroa St. in Highland Park. The final workshop for the new Long Beach Bicycle Master Plan takes place from 6 to 8 pm at the Mark Twain Library, 1401 E. Anaheim in Long Beach. On Monday, March 28, the City Council of Culver City will consider a motion to amend the city’s recently adopted Bicycle and Pedestrian Master Plan to replace planned bike lanes on Washington Blvd with sharrows and allow the council to override the approved bikeway designations based on economic and safety considerations. The hearing will take place starting at 7 pm in the Council Chambers of Culver City City Hall, 9770 Culver Blvd. The County of Los Angeles begins a series of 11 workshops for the new 2011 draft Bicycle Master Plan on Tuesday, March 28th from 6 to 7:30 pm at Topanga Elementary School, 141 N. Topanga Canyon Blvd, in Topanga. Additional workshops will be held March 29th, March 30th, March 31, April 4th, April 5th, April 6th, April 11th, April 12th, April 13th and April 14th; click here for locations and times. 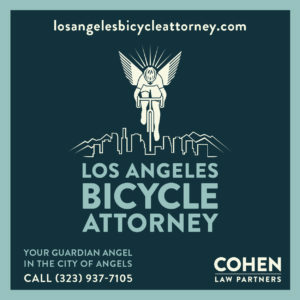 L.A.’s Department of City Planning will hold a hearing on expanding requirements for bicycle parking on Wednesday, March 30th at 1 pm in Room 1010 of L.A. City Hall, 200 North Spring Street. There should be an app for that. Metro invites anyone with a good idea to develop useful mobile apps or web mash-ups utilizing their transit data, with a goal of enhancing riders ability to use transit and encouraging more people to go Metro — and you could win up to $2,000 for your efforts. Learn more on Thursday, March 31st from 6 to 7:30 pm at Metro Headquarters, One Gateway Plaza Downtown. 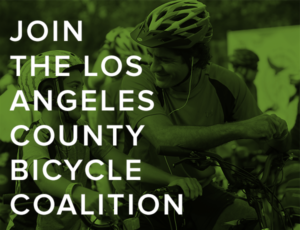 The fourth installment of the LACBC’s popular series of Sunday Funday rides takes place on Sunday, April 3rd, with the Crosstown Traffic Sunday Funday Ride led by board member Greg Laemmle. 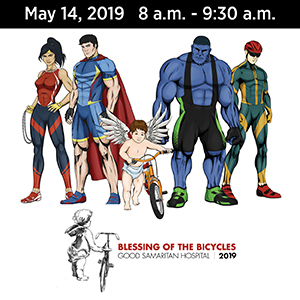 The 28-mile ride will assemble at 9:30 am the Westwood Recreation Center, 1350 South Sepulveda Blvd, and explore routes from the Westside to Downtown, with a stop for some of L.A.’s best coffee and tamales. Celebrate tax day with the second annual Streetsblog fundraiser at Eco-Village on Friday, April 15th from 6 to 10 pm at 117 Bimini Place; suggested donation is $20, but L.A. Streetsblog editor Damien Newton no one will be turned away. The always excellent Walk Eagle Rock spots a new one-block bike lane on Fair Park Avenue that could mark the beginning of a local bike network. Bike racks finally invade the lost province of Chinatown. After surviving a road raging driver on the streets of Santa Monica, Gary says unless real action is taken to make our streets safe, another Dr. Thompson is inevitable. Writing for HuffPo, CicLAvia board member Aaron Paley invites everyone back for its return on April 10th. Clearly, the Daily News gets it, as they call for a crackdown on people who phone or text while driving. Forty-seven year old Raul Alcala, one of the most exciting cyclists I’ve ever seen compete, will take part in this year’s Redlands Classic — 25 years after he placed second with the legendary 7-11 team. The recent collapse of Highway 1 in Big Sur isn’t expected to affect the upcoming Amgen Tour of California. New Mexico moves forward with a possible five-foot passing law. It’s tuxes and tweed for the 2nd annual U.S. Brompton championships. Bike share reaches Owensboro Kentucky. Tennessee cyclists enjoy a tour from the grizzlies of the Memphis Zoo to the Memphis Grizzlies of the NBA; maybe one day the Lakers, Clippers, Kings, Dodgers, Galaxy, et al, might figure out that some of their fans ride bikes, too. A Georgia legislator thinks you have an inalienable right to be a habitual offender. The UK’s new independent forestry panel fails to include mountain bikers. Scottish police receive lessons in how to ride, even if it is as easy as, well, riding a bike. Riding in the Dublin St. Patrick’s Day Parade. Road.cc says Northern Ireland’s proposed mandatory helmet law is dead in the water, at least for now. Mark Cavendish will compete in this weekend’s Milan – St. Remo classic on a McLaren. Finally, biking can apparently boost your bowels. And don’t worry about a little nuclear fallout this weekend; Ann Coulter says it’s good for you. Good luck to Amanda Lipsey in her first L.A. Marathon.